I like to show the vintage pieces in my collection on occasion. 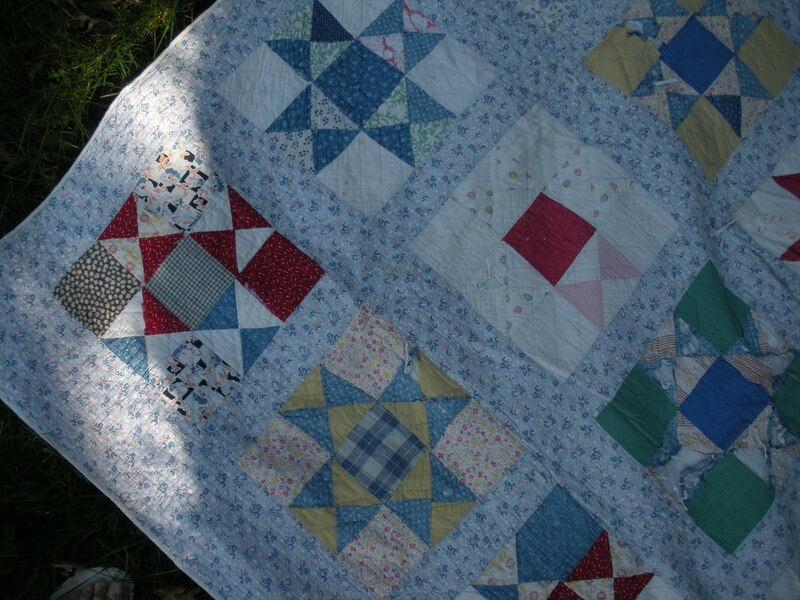 Today it is a bright, cheerful, and well-used quilt that came my way last year…isn’t it fun, in a sort of “summertime fresh”, unsymmetrical, fun sort of way? I love that it’s very much a “make do with what you have” type of design, some of the blocks match on all eight outer quadrants, but some don’t. It’s like she just thought, “well I don’t have enough of the red floral to finish this block…oh well, I’ll just use this brown calico square instead.” Utility reigned over beauty in this creation. 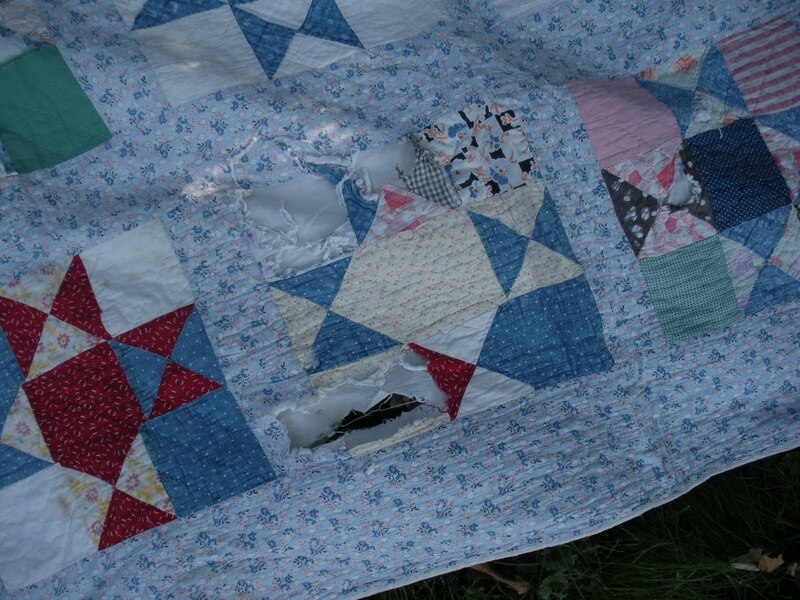 But the scrappy-ness of it is beautiful in it’s own right, don’t you think? The two items at the far left were in the box as well, an almost three-inch diameter Bakelite button, and a wooden darning gourd. My sweetie has gotten really good at spotting vintage sewing supplies, machines and notions when perusing antique shops and flea markets. 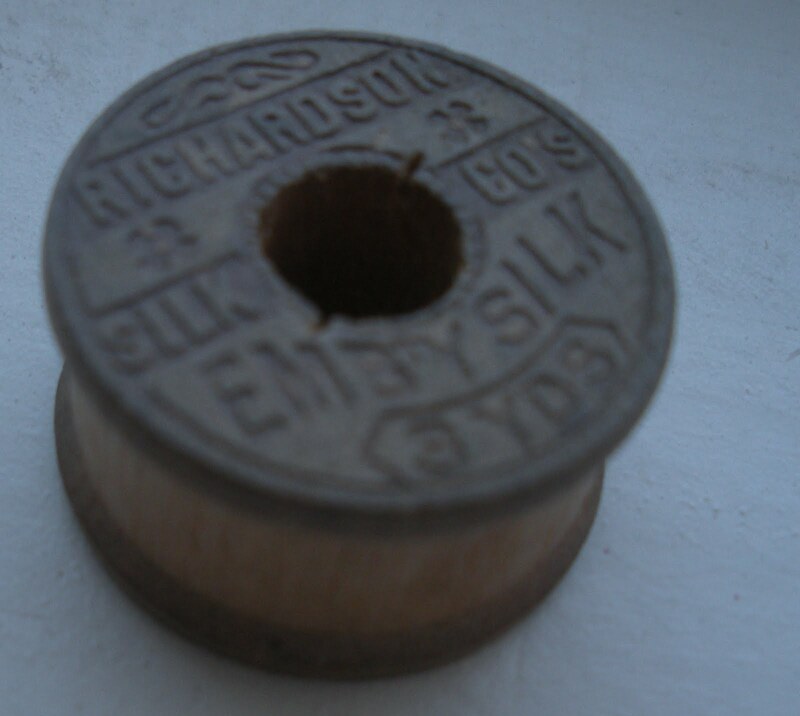 And don’t you wish you could buy 3 yards of SILK embroidery thread for a nickel? 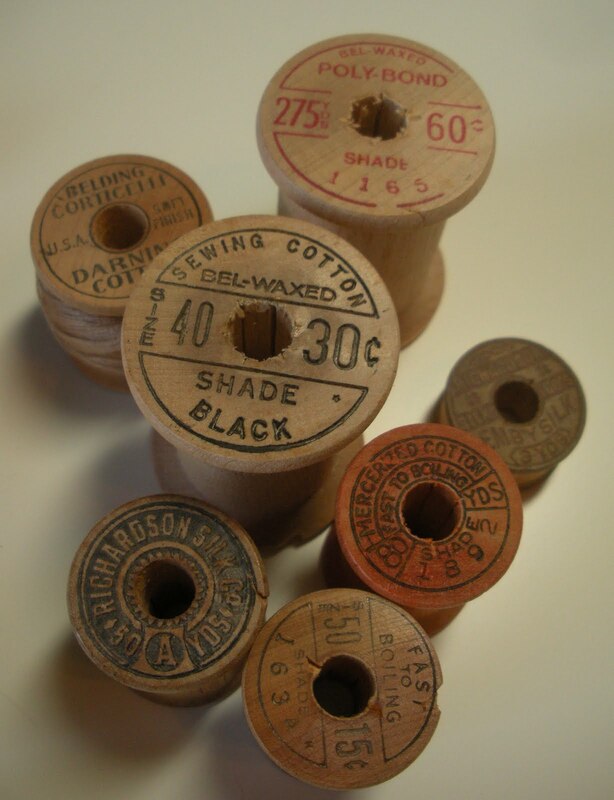 I’ve added them to my canning jar of wood spools, wood needle cases and clothespins. 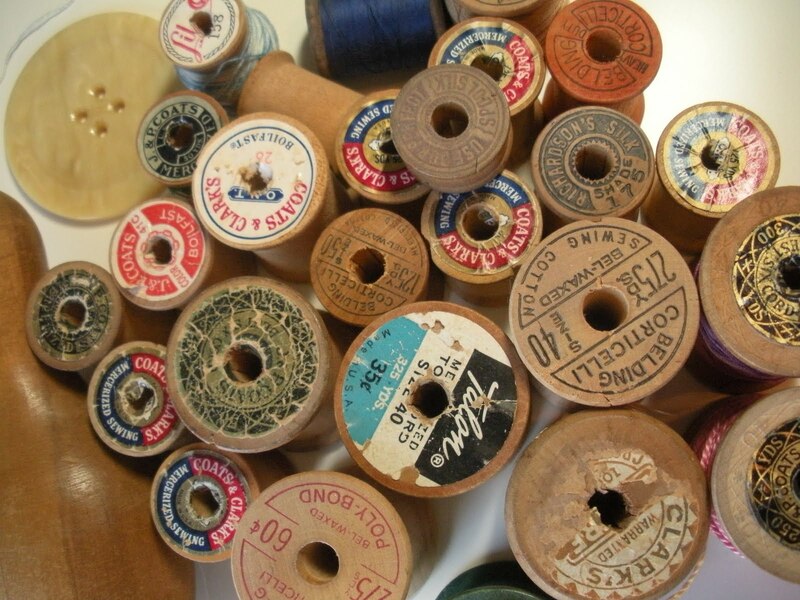 Do you have vintage sewing or domestic goodies in your home? Doris, This quilt is wonderful! 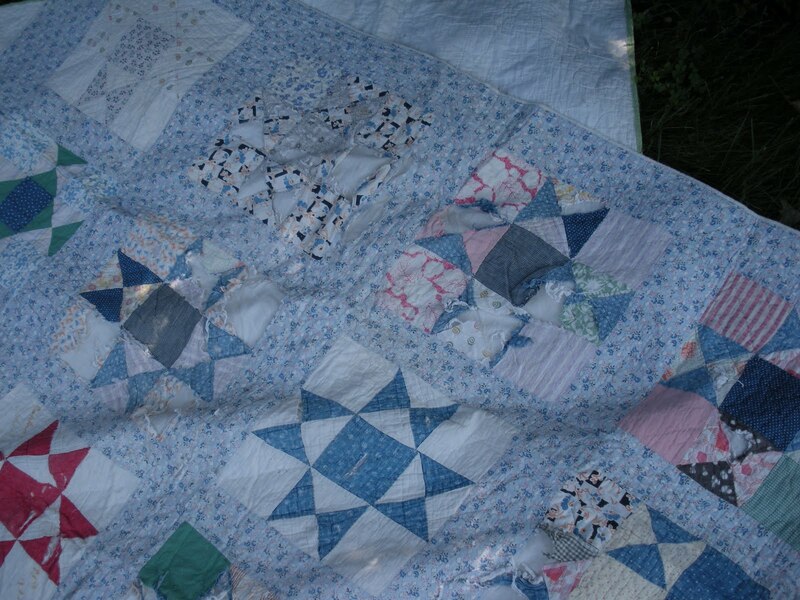 I love this kind of quilt. Thanks for sharing! Happy sewing! I love all the vintage sewing goods. I would love to be able to buy any of them for the prices they used to be. SIGH!!! 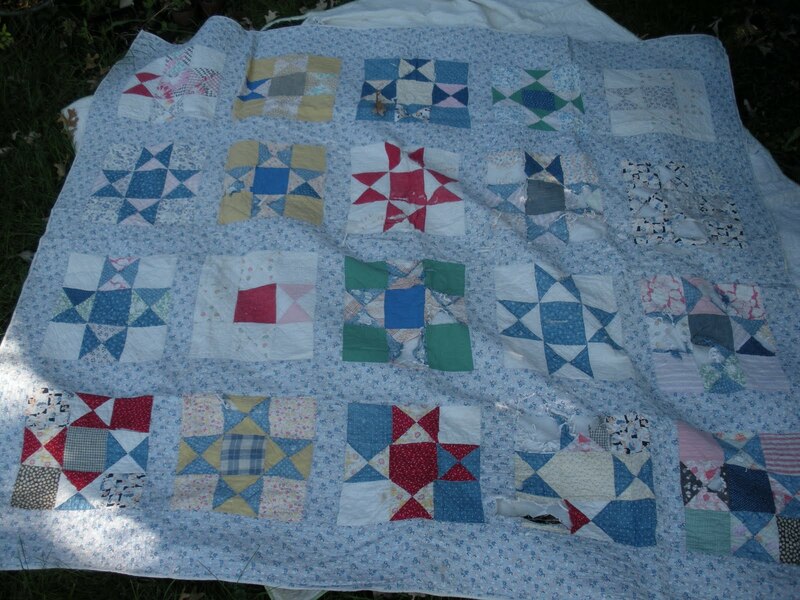 what a pretty vintage quilt. It does make me think of summertime. 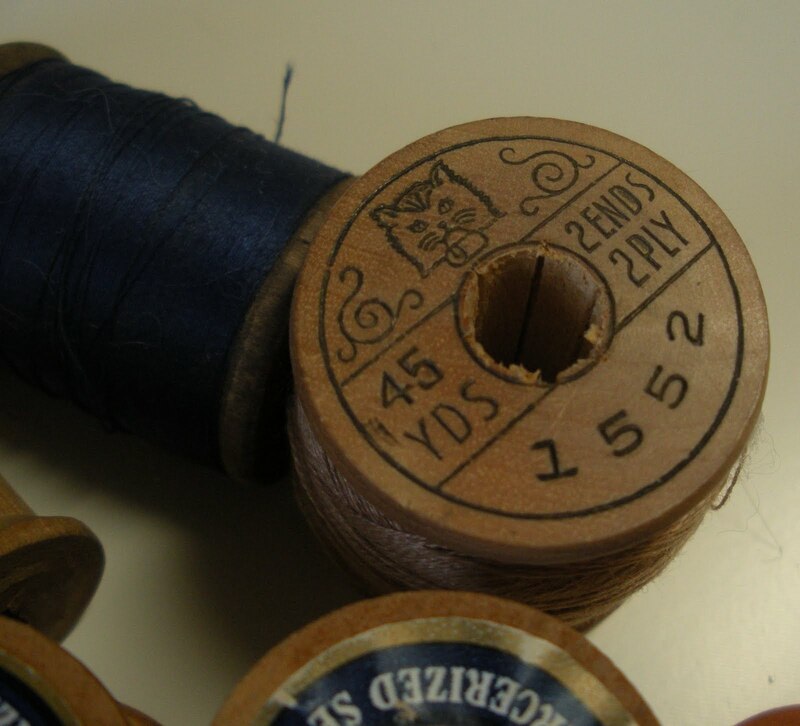 Those vintage spools of thread are cool too. I have a couple vintage notions, but I'm not sure how to display them-maybe just on a shelf. 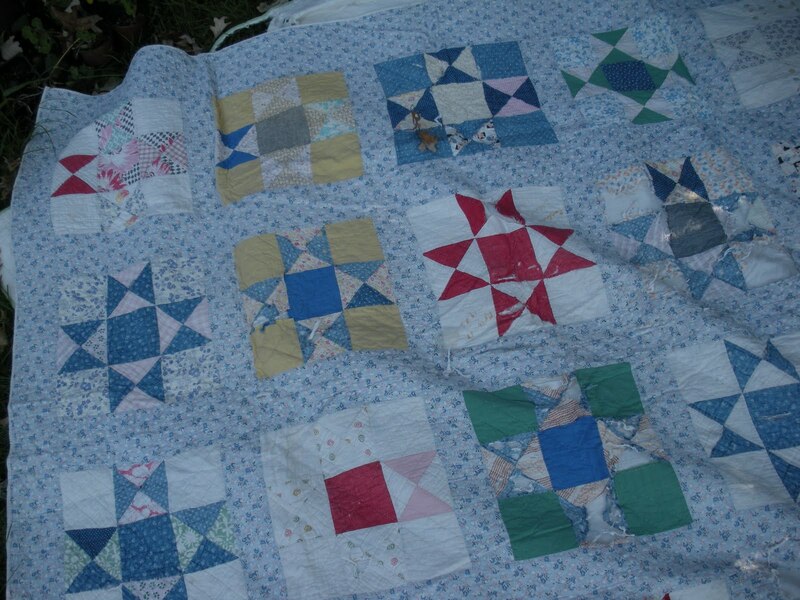 I love your quilt and I love all your spools too. It's interesting how many looks you get with that star by changing the fabrics and values. I love the quilt. 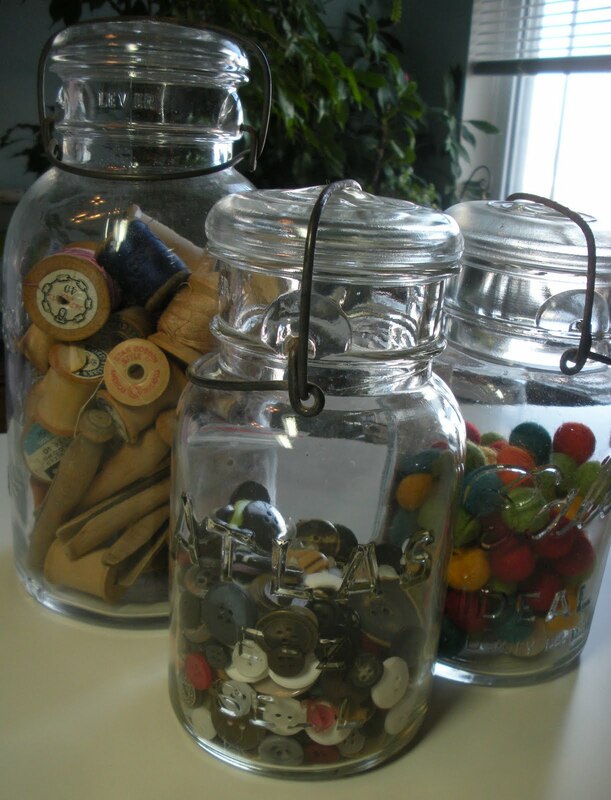 I also have jars of buttons and wooden spools. I remember playing with my grandma's old button box. I had so much fun with them. None of my aunts remember what happened to the box. I still can remember it was a homemade wooden box, painted blue.